The idea here is to just explore possibilities and dream up concepts without being too concerned with what is entirely possible. Aim at something amazing and then figure out how to get there. Lately my posts have been a bit taken over by the 3Doodler which is a handheld version of a 3D printer. I backed the 3Doodler on kickstarter and it arrived through the door in January 2014. Its fair to say that since then I have gotten my moneys worth out of it! Check out my Blog Posts to see what it can do or go straight to the 3Doodler Plane Project and see the story of my attempt to build a fully working 3Doodled RC plane. Take a look at my Linkedin page for a bit more about me. Or follow @MattBisHere on twitter to stay up to date with my projects and other stuff. For a bit of a look back at where my web journey started take a look at my Original Page which I imported directly from the free instant starter site that came with my domain name. After a year long slow start and updates I finally completed the move to WordPress which made life so much easier. I spent a lot of time learning some internet basics using the instant starter site. Simple things like embedding videos and creating anchors. Even just dropping a picture into the site. I would like to thank Zefrank for his invocation to beginnings which made me realise I should stop trying to get everything in place first, stop trying to make it perfect and just START! Watch the clip below if you ever feel in need of a bit of motivation. 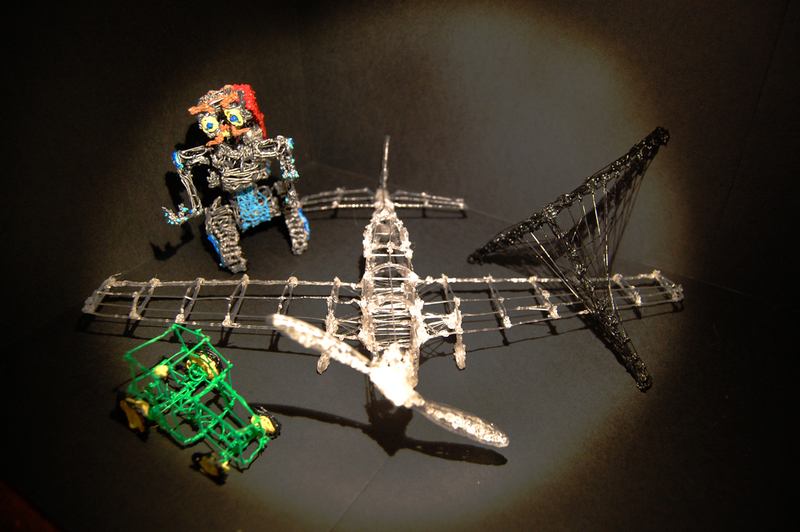 3Doodler Plane – World Record?